This Christmas holiday I suddenly had a feeling I had to read books. Normally I don’t have time to read books. I always have to do something and I have enough study books to read. So I decided to buy some books in a second-hand shop. I love to walk around in there and everything is soo cheap and old! And when I came in the shop last time I found these three fantastic girly books. Sometimes I like to read very difficult crime books but I decided for these funny looking books. The reviews on the cover were good, so for €2,50 I bought three (!) books. And in my two weeks holiday I read all of them. They are all English books but Sharon Griffiths book is a translated book. Officially it’s English. Rosie is a journalist. (And that’s the reason why I bought this book! ;) ) She has to do an interview with a lady for a reality show that is going to be filmed in her area and it’s about the fifties. She rings the doorbell but she feels very sick and passes out when the lady opens the door. When she wakes up she is in the house but everything is changed and it looks like she is back in the fifties. The old lady that opened the door for her is gone and there is someone else that helps her recover. Rosie thinks she is in the reality show because everyone is acting weird around here. So she start looking for hidden cameras and tries to act like everything is just a show. But the time goes by and some friends in her ‘old’ life are even in the show too! But they all act like they have never seen her. She doesn’t understand it. And then she realizes that this isn’t a show at all but that she is in the fifties for real! I really liked this book. I never expected this book to end the way it ended. It was really surprising and that’s what I like about books. I love surprises. And this was a good one. I didn’t wanted to end the book, but when it happened I wasn’t sad at all. It was well written and I couldn’t stop because in the beginning I didn’t understand it either but in the end the pieces come together and I could complete the puzzle. I loved it! This book is about Alice. She has a steady job and a boyfriend and lives in London. Then her boss offers her to go to America and without hesitation she says yes. But everything turns out to be different and she ends up living in the middle of nowhere instead New York. Then she makes some unbelievable big bloopers and she lies a lot to make her life a little better in the middle of nowhere in Ohio. She has a fight with the person she really needs to talk to if she wants to keep her job and after a long time with lots of ups and downs and a cheating boyfriend everything turns out well in the end. Which you wanted for her because of the tough time she had to go through. 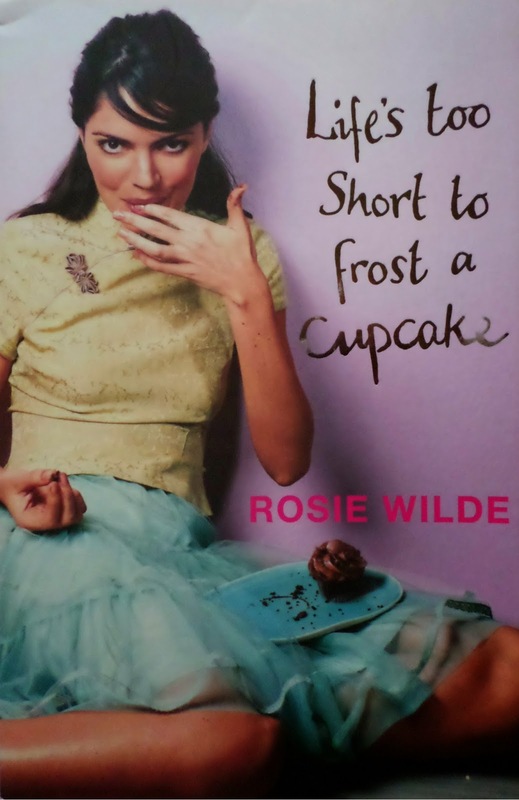 This book is called ’Life too Short to frost a Cupcake’ but I don’t really know why. It’s a really cool title though! But the cupcake part was one of the smallest parts in the whole book. This book wasn’t that surprising but still lovely to read. Again a good story with some little surprising elements. Not as big as in ‘The Accidental Time Traveller’ but I loved reading this book. This book ends like the way you wishes for Alice after everything she had to go trough! The twins Lizzy and Penny doesn’t look like each other at all. One is thin the other not. They are each other’s opposites. When their grandma has to go to a hospital she offers her house in Chelsea to the girls to look after while she is away. Happily they move into their new house in Chelsea. They both go for job hunting, both in their own ways. Penny in very attractive clothes with the idea that she doesn’t want to work hard for her money. Lizzy in just in her normal outfit and she is ready to work, no matter what job it’s going to be. They both live complete different lifes and sometimes their lifelines crosses each other which are very funny moments in the book. This book had a massive twist in the end which I didn’t expect at all. In the beginning I thought this is just a funny book. But in the end it teaches you a little lesson how life is. I loved this book also. It was as I said very unexpected in the end. 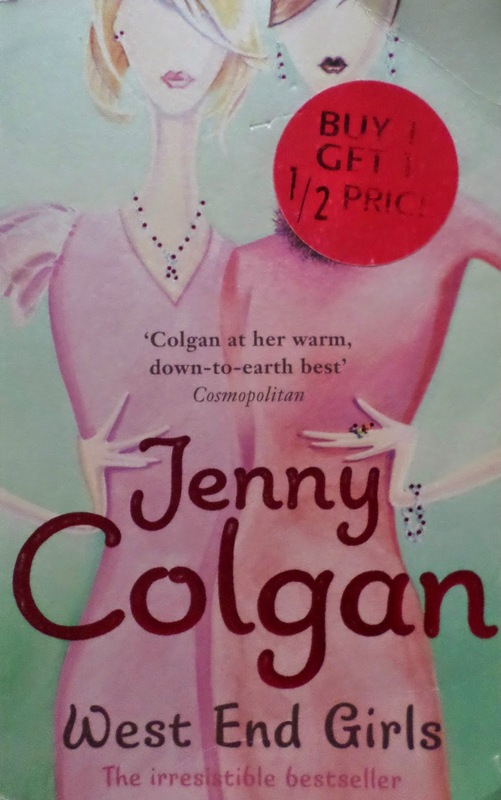 In the beginning I was a bit confused who was who because every paragraph Jenny Colgan tells the story from one of the twins point of view. (And I kept confusing the names of the twins but I think that is just my problem) But after I figured out how she had written her book it was good to read and easy to read. I love her writing style and how fast I could read this. I read this book in two days. I couldn’t stop just like the other books. I think these books were really good books. I bought these books before holiday but hadn’t read one of them yet because I wasn’t in the mood. But while on holiday these books were perfect and I loved reading all of them. 3 comments on "Books review"
hello you have a nice blog. I am following you. Also I have a good blog. Lets come and join my blog. I visited your blog and it looks lovely! The only thing is that I tried to use the translate button but it didn't work. I couldn't select my language :( Maybe you should check that out so I can read your posts too instead of only looking at the photo's. But I look forward to read your posts. And thank you for the follow, I'll follow you back!